Living a Christian lifestyle doesn’t have to be boring. 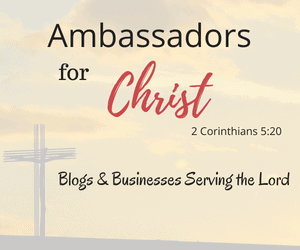 Christ calls us to honor Him and there are plenty of like-minded Christians that can help us do that. Example…If you want a good laugh, you can watch a Christian Comedian. Before I knew the Lord there were endless options for entertainment. I was able to watch anything on TV, listen to all sorts of music, and basically do whatever I wanted without feeling bad about it. Once I accepted the Lord into my life, it completely changed my view. I started becoming convicted by the things I was doing before. I remember thinking…Can Christians really have fun? I realized that the things I was watching on TV and the music I was listening to weren’t glorifying the Lord. So, I had to do some digging and found that I can still have fun in this Christian life of mine. That was over 10 years ago and since then I’ve found so many ways to have fun that honor the Lord. Not only for my own entertainment but for my husband and kids as well. So today, I want to share our favorite Christian Comedian. There are probably more Christian Comedians (I’m in the process of checking out more) out there but I want to share the one my entire family loves. Our friends introduced Tim Hawkins to us around 6 years ago. It was perfect timing because I was really starting to get discouraged trying to find a funny Christian comedian. Now, let me first say that anyone can say they are a Christian comedian. You won’t really know the truth until you actually watch them. I was getting tired of watching these “so-called” Christian comedians that ended up not being what they claimed. Cuss words are not in my vocabulary so naturally, I’m not entertained by them. There are definitely ways to be funny without cussing. So for the past 6 years, we’ve been enjoying Christian comedian Tim Hawkins. He entertains with clean Christian comedy and he’s beyond hilarious. My kids actually try to impersonate him often. My goal here is to provide you with as much info about Tim Hawkins as possible. 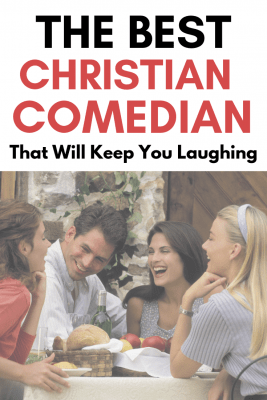 If you’re interested in clean Christian comedy, then it’s important to know information about the person entertaining you. Tim Hawkins used to be a grocery store truck driver. In 2002, he decided to venture out and become a Christian Comedian. He’s not only a clean Christian comedian but he’s a songwriter and singer too. He’s married (since 1993) and has four kiddos. 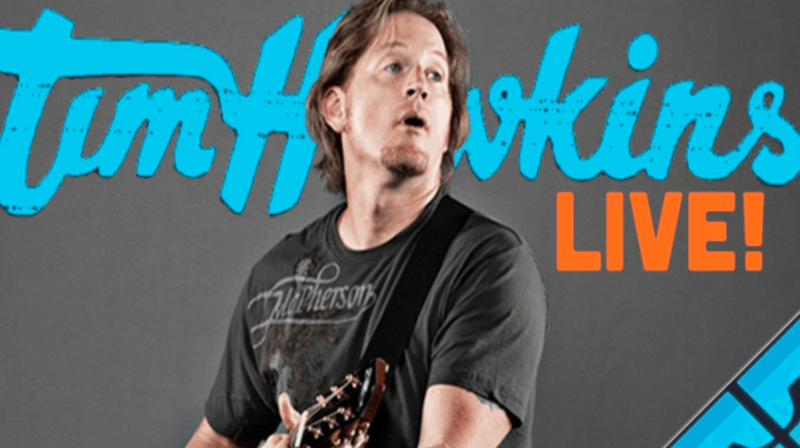 What is Tim Hawkins Known For? He’s actually really talented when it comes to playing guitar and singing funny songs. I was really surprised when I saw him perform these songs in person. The best part is that your whole family can be entertained with Tim Hawkins songs and comedy. He takes everyday life situations and turns them into clean Christian comedy. I mean who couldn’t get a good laugh about something in their marriage or homeschool? He has some really good punchlines. I like to refer to Tim Hawkins as a funny Christian Comedian. Let’s face it, some comedians just aren’t funny. I’ve actually seen some Christian Comedians who can’t even make me laugh. I’m going to highlight some of Tim Hawkins song here because they are so funny. 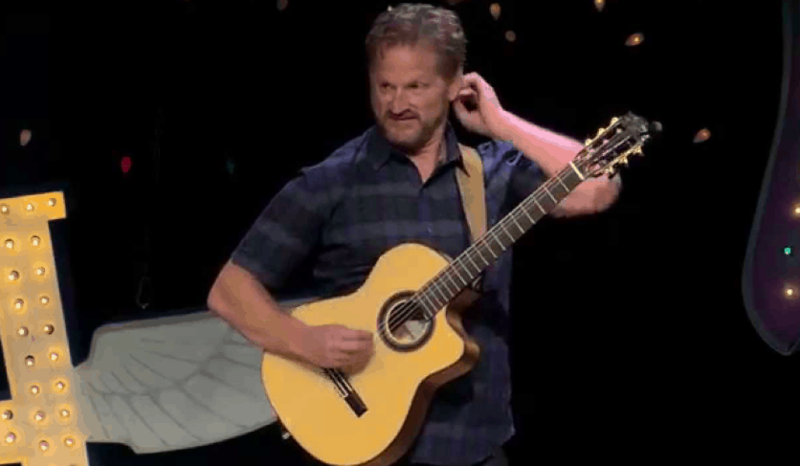 Reading the lyrics is one thing but watching Tim Hawkins perform these songs is hilarious. He has the funniest face expressions and body movements to go with his songs. But, their stores are closed! Chick-fil-A, what a dirty, rotten trick to play! Now I have to settle for Subway! Like I mentioned earlier, Tim Hawkins is hilarious. He is soooo talented at being a Christian Comedian. I can’t even begin to list all the different punchlines he has. Before I conclude this post, I want to share my all time favorite. I’m talking, I can watch it over and over again and still get a good laugh. He’ll give you a great laugh when he talks about moms, homeschool, parenting, church, and marriage. But my ultimate favorite is…That’s the Worst! We saw him live when he performed “That’s the Worst” and it was seriously the funniest thing I’ve ever seen. We ended up buying the “That’s the Worst” DVD so we could watch his performance anytime. Here’s the exciting part, I think Tim is close to 50 years old (you would never know) and he is still scheduling tours. 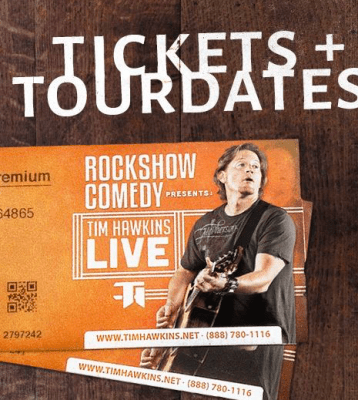 This is great news because you can still see Tim Hawkins “live”. But I have to warn you, his tours sell out fast. Yes…He’s that good! He has all his tour information (including hilarious videos) on his website. You can also check him out on the Tim Hawkins YouTube channel to get a sample of his shows. He puts all sorts of funny glimpses of what you can expect to see. This post is a work in progress. I would really like to make this a great resource page for Christian families to find clean Christian Comedians. I’m working on checking out more Christian Comedians. If you have any recommendations, I’d love to check them out and add them to this post. Please leave me a comment below or contact me with your suggestions.